As a working urbanite, sometimes I find it hard to keep up with my health and fitness goals. With my hectic and on-the-go schedule, I often eat out and skip my workout routine. But deep down I know that I have to do something before my health starts to deteriorate. With that, I have committed myself to lead a more sustainable, holistic and healthier lifestyle by signing up with AIA Vitality. It is program that supports and rewards me for making healthy choices every day so I can live a healthier and better life. Note to myself, I shall not procrastinate when it comes to exercise and eating healthy. I know it’s not that easy to change my lifestyle overnight but I have to start somewhere. Because we all know that we can’t buy health, we’ve got to earn it. 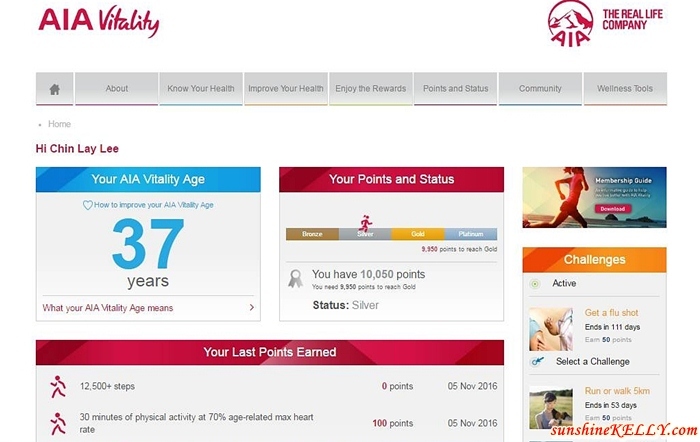 As soon as I received my AIA Vitality welcome pack, first thing I did was take the Vitality Age assessment. This is an indicator of my overall health. It may be lower than, equal to or higher than our actual age. All I got to do is start taking baby steps to improve my health and collect points as I progress. If I continue to lead a healthy lifestyle, workout and eat healthily my AIA Vitality Age will improve. 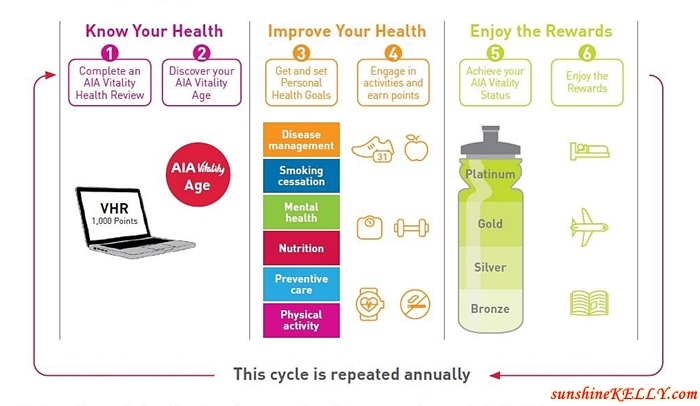 In a nutshell, AIA Vitality program is all about these 3 key steps ~ know our health, improve our health and enjoy the rewards. The program will enable us to understand our current health condition and then guide us on how to improve our health holistically and set goals. Plus there are also push factors to motivate us to make changes in our lifestyle so that we can achieve our fitness and health goals. First and foremost, we need to Know Our Health. 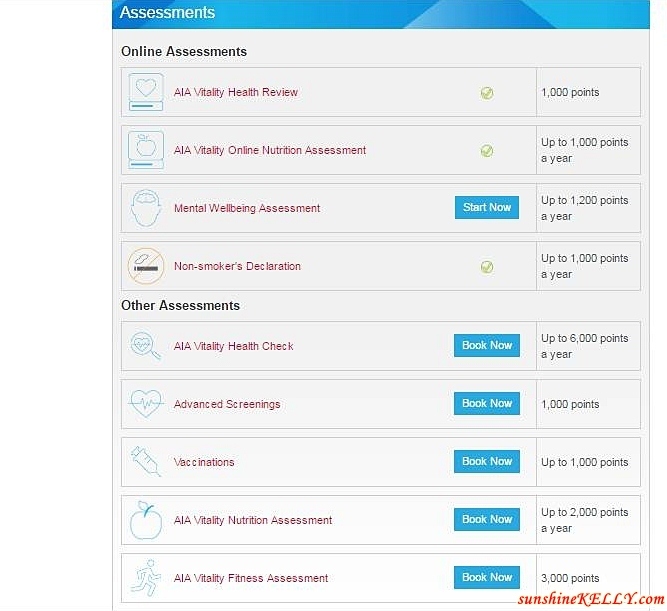 I did my health assessments and medical screening at BP Healthcare, one of AIA Vitality partners to understand my current health status then only set my health goals according to my own pace. I am glad that my medical screening report is satisfactory, the only thing I have to watch out for is my cholesterol level. It is near the borderline, so the doctor advised me to exercise more and cut down on high cholesterol foods such as red meat and seafood. I bought a Fitbit Blaze via the AIA Vitality program at a 25 percent discount! 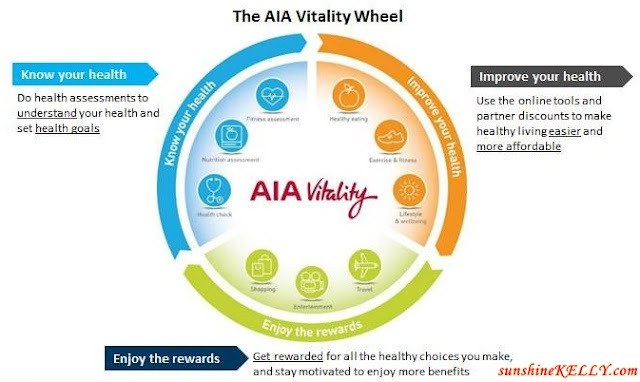 The advantages of being an AIA Vitality members is that we can use their online tools and partner discounts to Improve Our Health. I bought a Fitbit Blaze via the AIA Vitality program at a 25 percent discount! It helps me track my daily physical movements and fitness activities by linking the Fitbit App to my AIA Vitality app. Once I achieve my goals, I can earn up to 100 AIA Vitality points daily. The more I exercise the more points I can get. There are lots of ways and activities that we can embark on to make healthy living easier and more affordable. For example, if we could not afford to sign up for gym membership then go for run or walk in the park or walk up the stairs instead of talking the lift. Last but not least, is to Enjoy the Rewards. Yes! This is the part that all of us look forward to after all the commitments and healthy choices that we make. The road to a healthier and fitter me might not be that easy, there are so many temptations and I can easily be back to my old habits. 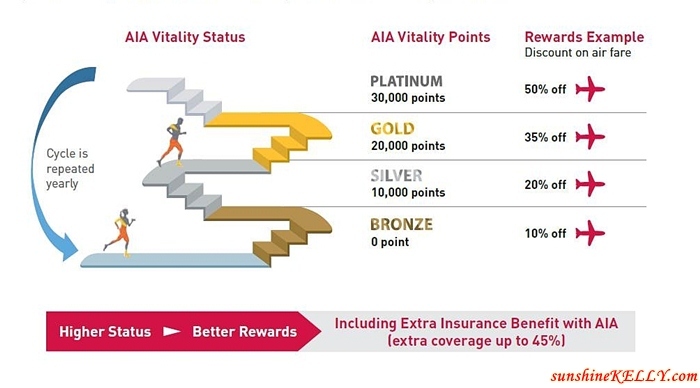 But with AIA Vitality and especially the rewards component of the program, I can stay on track. So the AIA Vitality program, not only gives me the knowledge, tools but also the motivation to make healthy changes in my lifestyle. 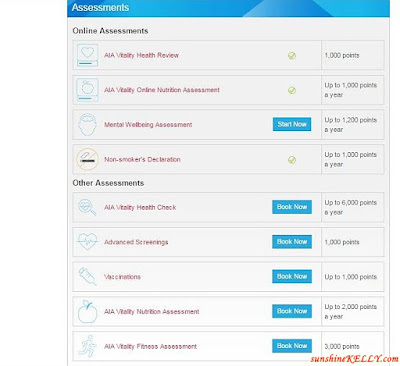 The first step for me was to complete the AIA Health Review and get my AIA Vitality Age. From there, I have started setting my goals to walk at least 10,000 steps 4 times a week and perhaps upgrade it to 10,000 steps every day. I am aiming to achieve Gold status in 6 months with small but healthy activities and habits and I can’t wait to be able to enjoy the rewards that come with it. I spotted some of the flight and resorts discounts, I am planning to treat myself to a nice holiday with my family. And if I can hit Platinum status I can even get up to 50% discount on AirAsia flight tickets. So aim high and work hard for it. With every progress I make, I will receive points starting from the beginner’s Bronze status to the high achiever’s Platinum status. With this reward system I get more than the satisfaction of attaining better health, I can also earn more Vitality Points, and unlock a series of rewards. As you know I love running and am trying to participate in more running events. And with the AIA Vitality program I get rewarded for doing what I love. Say yes to more workouts, more running, and at the same time consume a balanced diet to fuel my body. Now I am exploring different types of workouts as well, like weight training, RPM, dancing and piloxing. Overall I find that the AIA Vitality program is a holistic program that educates, supports and motivates me to lead a healthier lifestyle. I am sure that after 6 months I will be able to see the improvements to my overall wellness that includes fitness, health, emotional, mental and nutritional. It’s a motivation program for us to keep up with our health. AIA Vitality empowers us to take control of our wellbeing, with insurance benefits and other benefits as bonus. The greatest reward from this program is the ability to enjoy better health. Alright that’s about it for now, if you want know more about AIA Vitality program and how you can be part of it, please check out their website below. In the meantime, stay tuned for more updates on how I improve my habits and keep up with my healthy lifestyle with AIA Vitality. awesome when I read posts on health and fitness. the *AIA is new to me but it's worthy of its style and brand for all it brings. We also just had our music run. It's great that AIA vitality helps you monitor and promote fitness. Hi Franc, I read it from your blog also. New year I am going to join again. I do not think we have AIA here in our country. This is a great advocacy to get people to live healthy. Is this website free for anyone in the world to try? Or only for people in Malaysia? What is the link if we can try it. Hi Fred, the website that I am login into is only for Malaysia. However, some of the Asia Pacific region has the respective country website. Thanks Kylie, as a member I find that they have many rewarding and engaging benefits. I love how it has a holistic approach to improving health. the reward system is a great plus too so you're always motivated! Hi Phylicia, awesome right! I find it so rewarding too. Hi Bhusha, thanks. Its work for me. Tracking your progress will make you more motivated to continue. Earning rewards is also a good way to aim to achieve the gold status. Hi Roch, its true. Now I m more motivated to workout and follow a healthy lifestyle. Its becoming a habit, good one. That's a very thorough and detailed article. 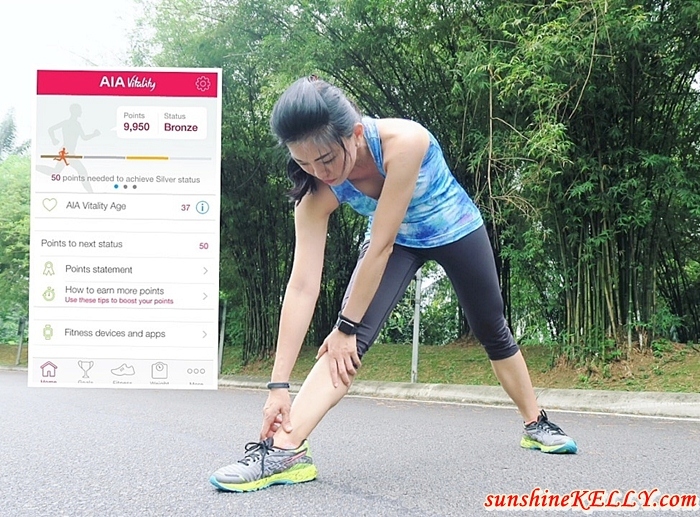 Glad AIA is inspiring you to be healthier and practising better lifestyle! Cheers to a healthier Kelly! Thanks Tiffany and I will work harder to achieve my fitness goals. Hi Sharon, yes the program is engaging. Time to go back to exercise. Yes I keep track of my exercise, diet and health. Thanks Irfan, please check out more information about how to sign up the program. Yes! I like it too. I am not at Silver Level and trying to reach Gold Status, the higher status the better rewards. seems like a good app for people to keep track on their health! will check it out. That's right! Now I can keep track my of my fitness. nice work out and motivating! Hi Wendy, it motivates me, engaging and rewarding at the same time. Having these healthy life style tips doesn't solely mean having a healthful body, it conjointly means that living peacefully and thinking completely. several people face issues everyday each physically and mentally.